The 22-story ALICO Building, also known as the American-Amicable Life Insurance Company Building, was completed in 1911, and designed by architects Roy E. Lane and Sanguinet & Staats. When completed, it was the tallest office building in the southwestern United States. 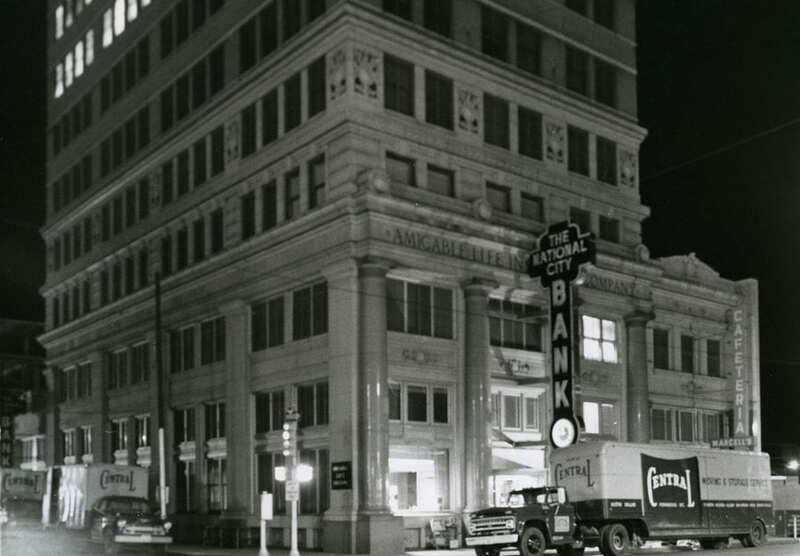 Additionally, its location at 5th and Austin Avenue was once part of the city’s central business district and the building was a vital part of the city’s economy. It even survived a catastrophic and deadly F5 tornado in 1953. The closing down of a section of Austin Avenue to create the Austin Avenue Pedestrian Mall in the late 1960s also put the tall building and facilities at the front and center of one of the city’s many Urban Renewal Projects. However, this pedestrian mall project was short-lived and the street opened to traffic again in the mid-1980s. Adjoining structures with matching Alico Center façades were eventually pulled down. As a result, the building and its parking garage now stand as a lone reminder to this time when mid-century inspired architectural styling met a much older and traditionally designed skyscraper. This Meta Slider shows the Alico Building in about 1926 and a recently taken image. 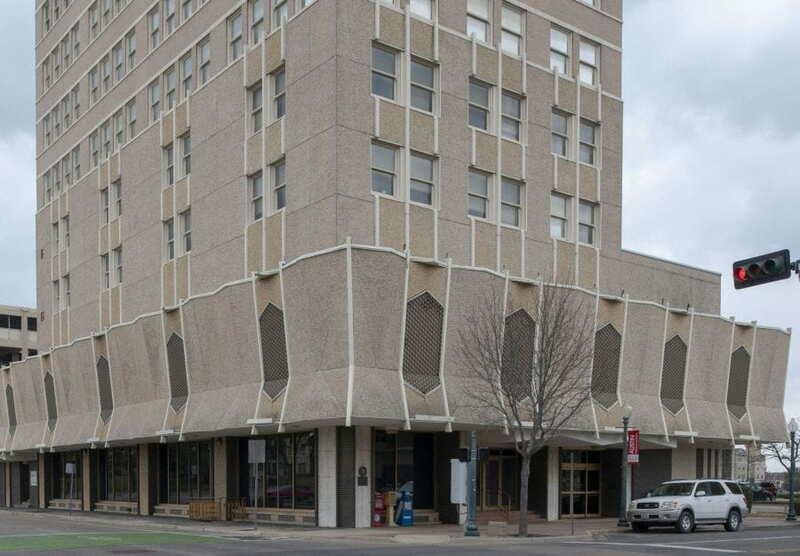 Waco’s famous Old Corner Drug Store once occupied a portion of the building’s ground floor. The original design of the front and side facades are evident as well as the original design of the first few upper floors. Older image taken by Fred Gildersleeve (Waco Amicable Life Insurance Company records), The Texas Collection, Baylor University; and a recent picture by GH. This Meta Slider shows a circa 1960 image by Windy Drum, (Waco Amicable Life Insurance Company records), The Texas Collection, Baylor University; and a recent picture taken by GH. 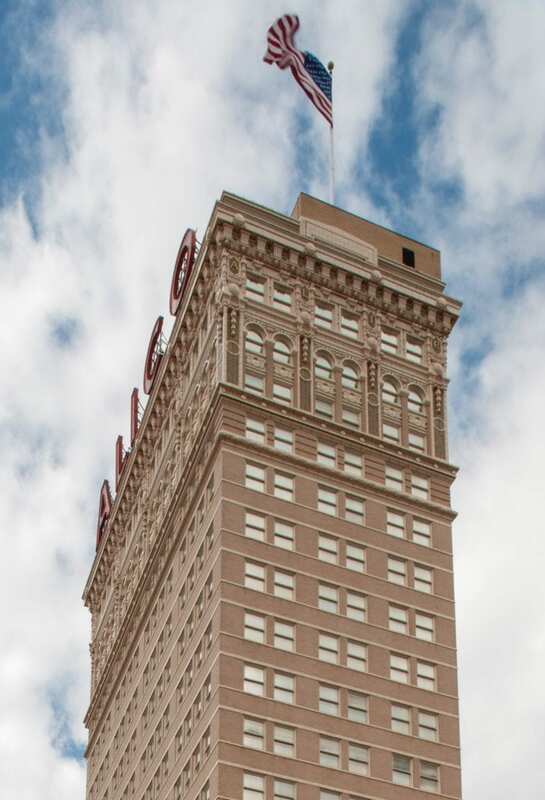 The structure’s upper floors remain virtually unchanged with the exception of the large red ALICO signs on both sides. On another side below the flag and above top windows, the letters A L I C O are placed. Recent photo taken by GH.